An Organization of the Petroleum Exporting Countries panel reviewing scenarios for the cartel’s meeting next week recommended cutting total output by 1.3 million barrels a day from October levels, reports The Wall Street Journal. “According to the data we have, 1.3 million barrel a day cut would be efficient to balance the market,” said one OPEC official who attended the meeting of the Economic Commission Board. OPEC and its Russia-led allies are meeting Dec. 6 and Dec. 7 in Vienna to debate cutting as much as 1.4 million barrels a day from their collective output. 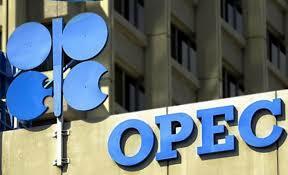 Saudi oil minister Khalid al-Falih is lobbying others in OPEC, as well as Russia, to join the production cuts. Judging by the reaction when Saudi Crown Prince Mohamamed bin Salman and Russian president Vladimir Putin greeted each other in Buenos Aries at the G20 Summit, the discussions must be going well.